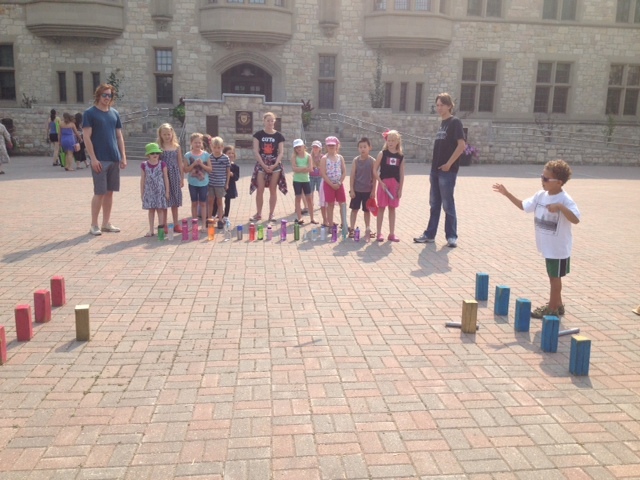 Join our playleaders for lots of great activities, crafts, and games throughout the day! And that’s not all… there’ll be balloon twisting and other fun too! 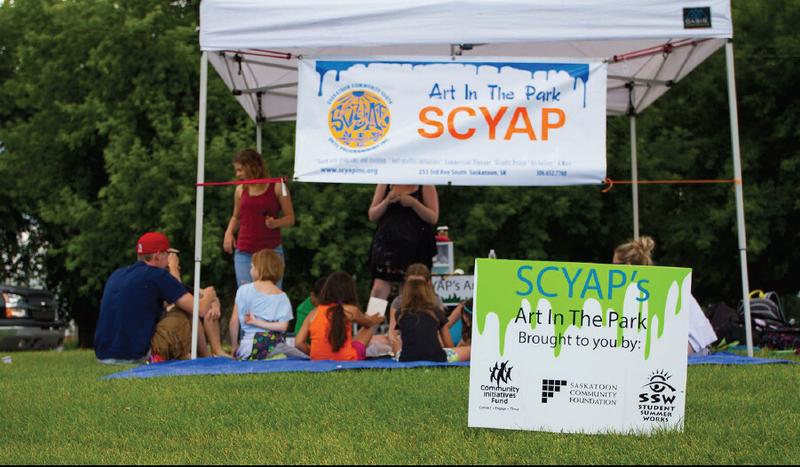 Join SCYAP’s art leaders at Caswell Art in the Park for a fun afternoon of crafts and mini art projects. The Museum of Antiquities will be running an ancient and medieval game tent at Art in the Park this year. Kids will have the opportunity to learn the ancient Egyptian board game, Senet, which is a mix of luck and strategy. They will also be teaching kids how to play the Viking game Kubb, which is like a mixture of horseshoes and bowling, but with wooden blocks. The Museum of Antiquities at the University of Saskatchewan is a collection of both replica and original pieces from some of the most fascinating ancient cultures around the world. Experience the ancient Near East, ancient Egypt, Greece, Rome and the medieval era right here in Saskatoon! The Museum’s gallery is open six days a week and is admission by donation. Along with the Museum’s gallery and tours they offer, they also have educational programming for children. 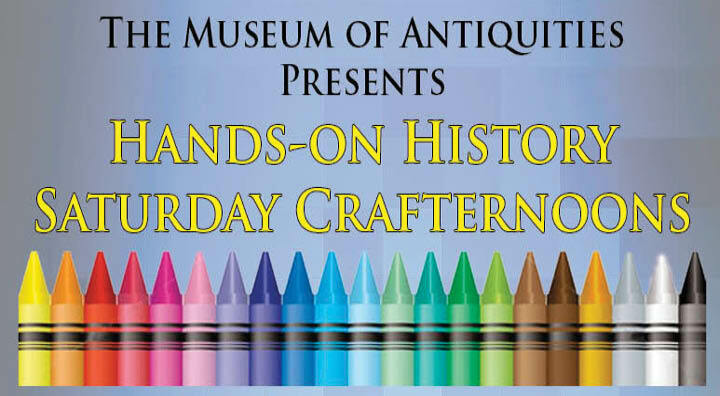 Offered September to May on the last Saturday of the month from 2:00-4:00pm, the Museum holds a drop-in program called “Hands-On History Crafternoons” developed for kids ages 4-9 which involves a story from an ancient culture and an accompanying craft. Best of all, the Hands-On History Crafternoons are free! During the summer, the Museum switches gears and offers summer camps for kids ages 6-12. Six weeks of camps are offered over the course of the summer and during each week, the kids learn about life and culture in ancient and medieval times. Check out the Museum’s website: http://usask.ca/antiquities or follow them on Facebook https://www.facebook.com/usaskantiquities to keep up on what programs and events they have on offer! From swords to snakes, and flowers to fairy wings, Piper’s squeaky, squishy, bendy, twisty skills have been featured at Meewasin’s Founders Day, Trails Day, Marr Harvest Fair, Ukrainian Day in the Park, Canadian Parents for French Carnavale, Rayna’s Day of Play, Saskatoon Fringe, Heritage Festival of Saskatoon, and this will be her 6th year at Art in the Park!